Hidden between the green and gold of the surrounding Northern California foothills, Lauren’s riding career began at Sutton Place, her parents’ riding stable. It is no surprise that Lauren was riding before she could walk. She comes from a long lineage of equestrians. Her father, Charles “Champ” Hough was a Bronze Medal-winner at the 1952 Olympics in Helsinki 3-Day Team Eventing. Her mother, Linda, was a top Hunter rider and operated a successful Hunter and Jumper show stable for over 25 years. Lauren’s very early start began in the pony ring. She earned numerous tri-color ribbons with the small pony, Swan Song. The jumps did not stay small for long. She had numerous successes in the Junior Hunter and in Equitation rings. Lauren won the East Coast USET (now USEF) Finals. Her true passion was found in the Jumper Ring. In 1993, she was a member of the Gold Medal Zone 10 Junior Jumper team. 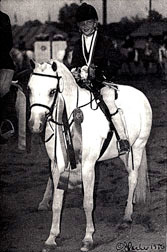 Lauren was the Pacific Coast Horseman’s Association Grand Prix Rookie of the Year at the age of 15. This was just the beginning. Lauren was a member of the 2000 Sydney Olympic squad. 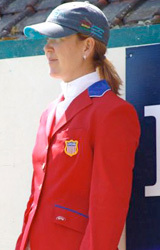 She won the National Horse Show Grand Prix back-to-back in 2001 and 2002. In 2003 Lauren was a member of the Gold medal-winning Pan American Games Team representing the U.S. in Santo Domingo, Dominican Republic. Demonstrating her tenacity, she rode in the selection trials with a broken collarbone. From 2004 through 2006, Lauren was a member of the successful U.S teams competing in the Samsung Super League. In 2004, the team finished in fourth place; in 2005, the U.S. finished first; and in 2006, they were second. In 2006, she was fourth overall in the FEI World Equestrian Games Selection Trials, which qualified her for the short list for the games in Aachen, Germany. Lauren was a member of the 2007 Pan American Games Bronze medal-winning team. 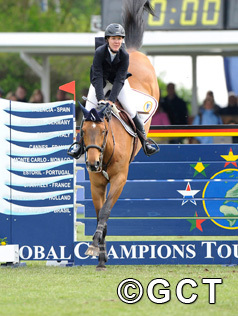 In 2009 Lauren and Quick Study were part of the winning Nations Cup effort in May at CSIO Rome. The pair was also second in the Helsinki Grand Prix. Quick Study and Hough landed a spot on the Show Jumping Long List for the 2010 Alltech FEI World Equestrian Games after jumping clear rounds in the first two trials of the USEF Selection Trials for the US Show Jumping Team. Lauren’s success continues. Lauren and Quick Study opened her 2010 summer season with a momentous victory in the €285,000 Global Champions Tour Grand Prix held in Hamburg, Germany. Lauren and her horses will continue to compete in Europe until the fall. Lauren attributes her success not only to her wonderful horses and owners, but also from the support of her barn manager, Justine Raven and “Team Hough.” Of course, none of this could have been possible without the love and support of her parents. Her mom, Linda, is her biggest fan and can be usually found in the grandstand watching her daughter compete. When Lauren isn’t traveling the world showing her horses, she calls Wellington, Florida her home. During her downtime, she enjoys spending time with friends and family. She especially enjoys entertaining. She loves to cook. She also likes to read, work out at the gym and hang out with her dog, April. 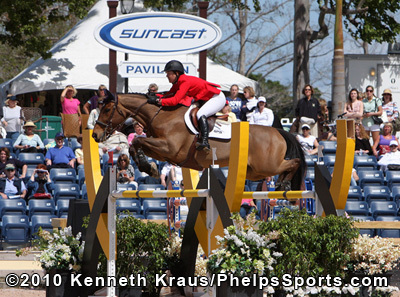 Get to know Lauren and her great horse Quick Study while they school following their win of the $150,000 Wellington Equestrian Realty Grand Prix during week 8 of the Winter Equestrian Festival in Wellington. This topic focuses on the partnership of horse and rider and features Lauren’s play by play of her winning round.